Urban Entertainment were chosen to be the partner for Outdoor Cinema Dubai Parks and Resorts, and it was our pleasure to bring some of the greatest kids movies to this amazing venue for the first time. 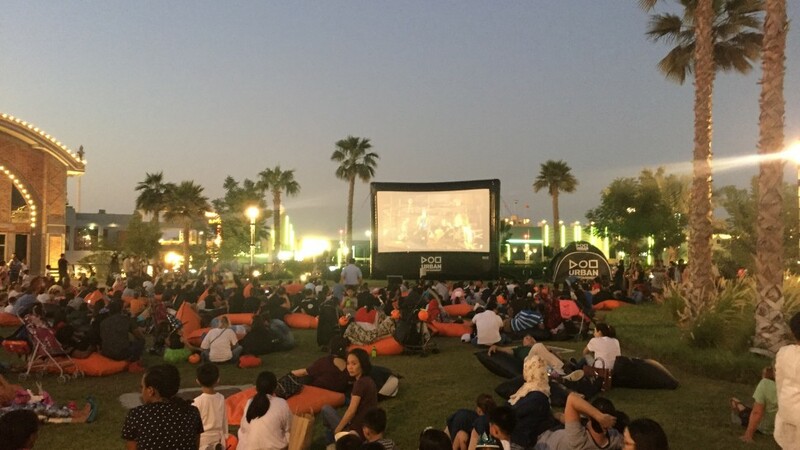 Such was the success of these events, we have now worked with Dubai Parks and Resorts over the last 6 months with regular Outdoor Cinema events. Amongst these events included Halloween, Christmas Festive, Circus screenings to name a few, with the back drop of Motiongate, Bollywood Parks and Legoland, our Outdoor Cinema screenings at Riverland are some of the finest events we have been involved with. it’s been an absolute pleasure to work with Dubai Parks and Resorts. For further information on our up and coming events contact us or click here to visit our facebook page.